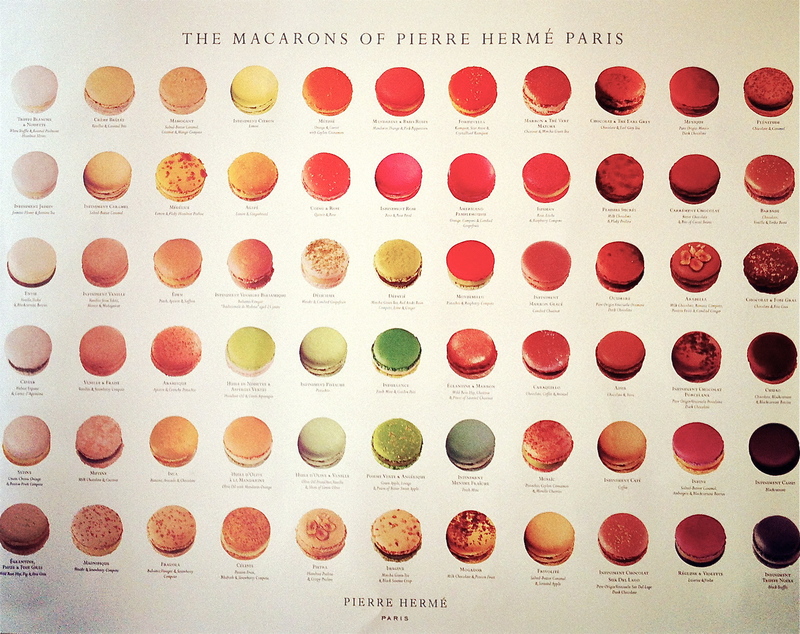 Just thought I’d share my beloved macaron poster with you all…I’ve had it for months, but now that we’ve moved I have decided to put it on the wall. I got it when I was at a book signing at Pierre Herme’s shop in Belgravia for Foodepedia. There were free macarons involved and fans of this sort of thing would have been pistachio-green with envy. But truthfully I find his concoctions too complex for my taste. I must be a macaron peasant, a bon-bon bourgeoisie if you will. And so if you’re wondering why the poster then? Well, another testament to my pea brained outlook…I like the colours. I like it that there is a poster with colour coordinated macarons. That’s all.